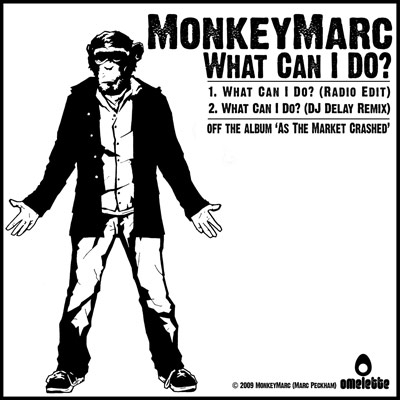 MonkeyMarc (Combat Wombat) releases his debut single "What Can I do?" on October 26th through Melbourne independent collective Omelette Records. The first single off his up and coming debut solo release "As the market Crashed" is a potent mix up of grimey blues vocals and funky rhythms that will surely get your feet tapping just in time for summer. The B side features an upbeat drum and bass/dubby remix by Berlin/Melbourne artist DJ Delay that will well and truly test your sub woofers. “As The Market Crashed” is out on December 1st through Omelette Records.